Om International is the one stop solution for all your International study needs. Established in 2000, the core activity lies in assisting students to make the right choice with regards to pursuing education in overseas educational institutions. 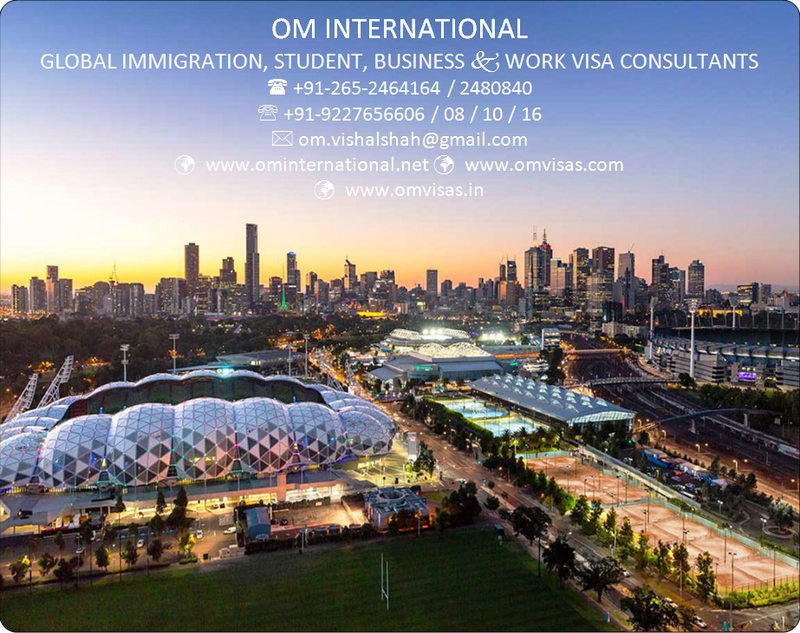 Om International provides information regrading higher education in various countries such as UK, USA, Canada, Australia & Europe and has a command over the education system world wide. We know there is a range of of education providers that you can choose from. You've taken a decisive step in the right direction. "Education is the passport to the future,for tomorrow belongs to those who prepare for it today." APIC develops and delivers challenge-based action learning that aims to transform individuals,business and society by enabling the collaborative development of solutions to real-world problems. We aim to meet the needs and aspirations of individuals, as well as organisations that seek to employ the best available talent. We believe that education and professional development are the keys to developing and furthering personal growth and careers in what is rapidly changing worlds of business and work.The next decade will see dramatic changes in work life,and APIC aims to help students to meet the challenges that this rapid evolution will pose.We encourage and nurture creativity, reflective challenge-based learning,professionalism, and the development of technical and managerial skills, and leadership competences.We seek to unlock your potential. There are many institutions of higher education, so why should you choose APIC? The answer is simple,no other institution offers the opportunities that APIC provides to help students realise their talent and achieve their goals.We are about individuals and their preparation to succeed in the rapidly changing world of work,business and industry. We invest time and effort to build our students capabilities so that they can thrive in today's fast placed globalised world. At APIC,you will learn to be a self-directed professional,confident and complement.By completing one of our programs,you should be able to contribute to projects and organisations effectively, straight after your graduation. This is because you will be learning management skills through real life projects and organisations,applying a transformation, challenge-based learning model under highly qualified and experienced academics and industry experts. Asia Pacific International College has campuses in both Sydney and Melbourne, two of the most cosmopolitan and vibrant cities in Australia. Sydney is known for its beautiful harbour city setting and city precincts; including the Opera House, Darling Harbour and The Rocks. There is so much to see and do, but if you want to unwind and relax, Sydney is also home to manly and Bondi beaches, parks and lakes to visit. Melbourne is a food, shopping, and sporting mecca, with fantastic restaurants and cafes at your doorstep. The Melbourne calendar is full of major sporting and cultural events, including the Australian Open Tennis and Formula 1 Grand Prix. 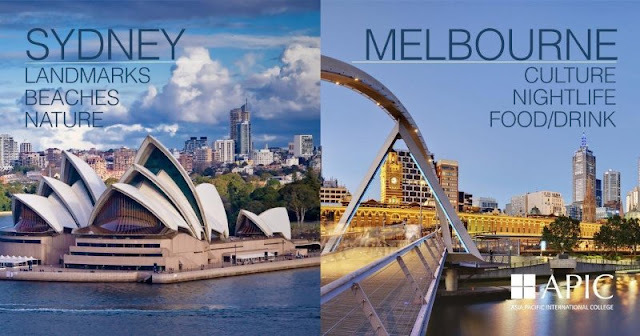 If you would like to get out of the city for a weekend, both Sydney and Melbourne provide wonderful options only a few hours drive from city centers. APIC offers undergraduate and post graduate courses of study, specializing in the areas of Business Administration, Business Management, Business Information Systems and Project Management.General course information can be found for all courses details below.